Street Fighter stages have proven to be timeless and memorable throughout the years, whether it's the iconic settings of Ryu's old Street Fighter II stage, the subway from Street Fighter III, or the Ultra Street Fighter IV stage that featured the Mad Gears from Final Fight doing a kabuki routine in the background. But for Street Fighter V: Arcade Edition's latest stage, Capcom is looking to do something a little more special. On Wednesday, Capcom-Unity unveiled the Dojo. The Dojo is a simple, modest stage, not unlike what one would see from recent Training stages. However, the twist is that this particular stage is fully customizable. To pick up this stage, simply register on the Shadaloo Combat Research Institute website. This is the site that acts as the full Street Fighter V hub, offering player stats, as well as upcoming events. This is also where players will update their personal Dojo stage, adding furniture, decorations, and other knick-knacks. 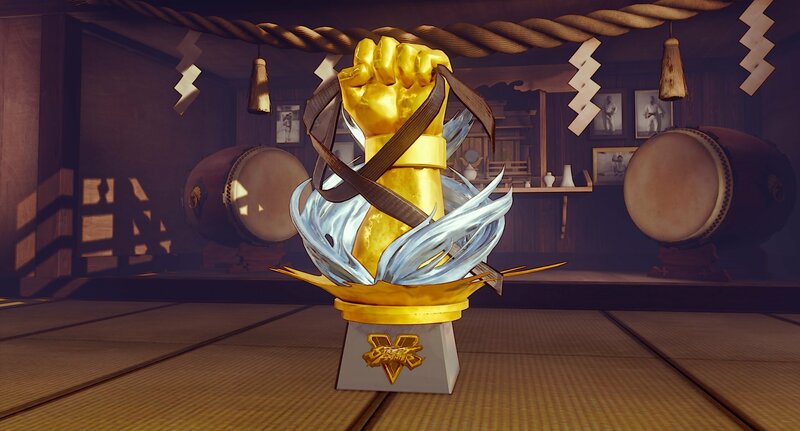 While many Dojo items will be available out of the gate, special items will be locked behind either gameplay requirements or through Menat's shop. All players will be Grand Masters of their own Dojo, which they can then open up for other players to join. This will act as Street Fighter V's clan system, which allows Dojo members to contribute points towards boosting the Dojo's ranking by playing through various single and multiplayer modes. A high Dojo ranking will open up new customization items. Dojos will be available to all Street Fighter V: Arcade Edition players starting Tuesday, September 25.